In August, the stage play, The Dreamer was performed for enthusiastic audiences at the Pleasance Theatre during the Edinburgh Art Festival. The effort was the result of a cooperation between the Shanghai Dramatic Arts Center and the United Kingdom’s Gecko Physical Theatre Company. The play’s dialogue relies mostly on physical acting combined with lines spoken in Chinese, without any subtitles. The performance garnered rave reviews from reputable media outlets like British entertainment weekly The Stage, the British Theatre Guide, and FringeReview, an online reviews publication focusing on lesser-known performances. Rehearsals for The Dreamer began in 2016, a year that marked the 400th anniversary of the deaths of two literary greats: the Ming Dynasty writer Tang Xianzu and William Shakespeare. In memory of these two exceptional playwrights, the Shanghai Dramatic Arts Center created five works inspired by Tang and Shakespeare, the most groundbreaking of which was The Dreamer. Previously, I had toyed with the idea of blending the two playwrights’ works to create an original play. In 2011, I corresponded with the U.K.’s National Youth Theatre about combining elements from Tang’s collection of plays titled The Four Dreams of Linchuan with Shakespeare’s A Midsummer Night’s Dream. The project never materialized, but the concept stayed in my mind. 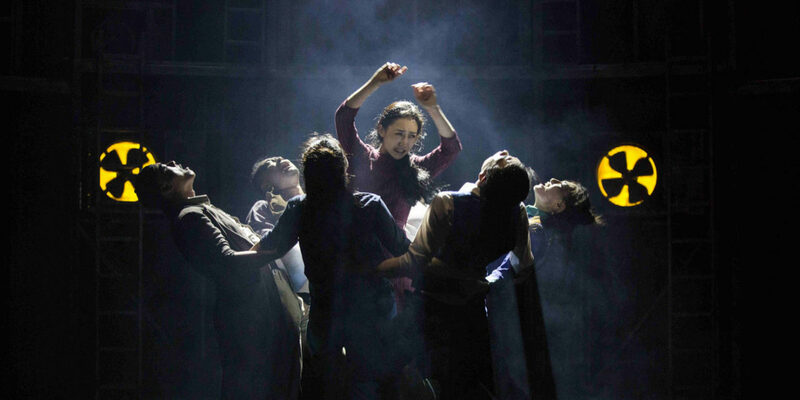 In 2015, the Shanghai Dramatic Arts Center and Gecko forged a partnership. The latter’s artistic director, Amit Lahav, discussed with me the idea of fusing Shakespeare’s and Tang’s works. We sought neither to merely juxtapose the two stories nor to crowbar both plotlines into one work; instead, we wanted to find the common thread between the two writers. Appointed the production’s dramaturg — the person in charge of dramatic composition and theatrical representation — I proposed mixing elements from The Peony Pavilion, Tang’s best-known Linchuan play, and A Midsummer Night’s Dream. With Lahav’s support, I introduced the Gecko’s team to the Chinese plays and discussed with them how best to explore the topic of all-conquering love in the context of contemporary Chinese society. In November 2015, Gecko came to Shanghai to host a two-week workshop with the actors of the Shanghai Dramatic Arts Center. While creating The Dreamer, the director, Rich Rusk, and I asked ourselves several key questions about the production’s purpose: Why do we still perform Shakespeare’s and Tang’s plays? What does a modern audience gain from remembering these writers from 400 years ago? What is the most appropriate way to pay tribute to these playwrights? Both plays deal with the nature of dreams and thematically center around a loveable to conquer even death itself. However, when portraying these ideas, the two legendary writers held very different points of view. In A Midsummer Night’s Dream, Shakespeare weaves an absurd, carnivalesque tale about the marriage of Theseus, the Duke of Athens, to Hippolyta, the former queen of the Amazons. The narrative flits among a series of different worlds in a way that is both intoxicating and discombobulating for the audience. 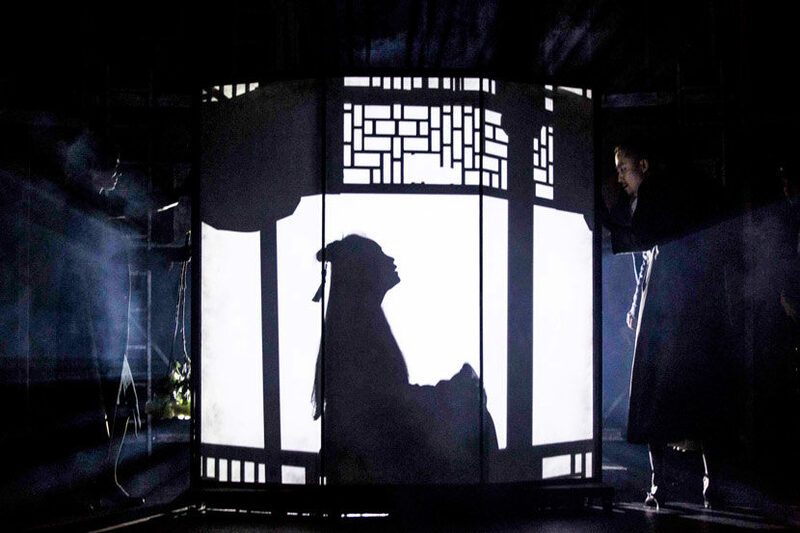 In The Peony Pavilion—which is traditionally performed as a Chinese opera—the protagonist, Du Liniang, falls asleep in her garden one night and encounters a beautiful man, Liu Mengmei, in a dream. Despite never having met in real life, the couple falls in love, and when Du wakes, she finds herself consumed by lovesickness, wastes away, and dies. Later, Liu — who comes to live at Du’s former residence — encounters Du in his dreams, too. At her request, Liu exhumes Du’s body, and she comes back to life. We set The Dreamer in contemporary Shanghai and turned the supporting protagonist of A Midsummer Night’s Dream, Helena, into the main female protagonist. Helena is a single, career-driven woman in her 30s who is seen by her Chinese contemporaries as a shengnü, or leftover woman past the traditional marriage age. The play examines love, marriage, and family through her eyes. The central themes of The Dreamer reflect those of The Peony Pavilion and the love between Du and Liu. In Chinese literature, neither character fully grasps where their love springs from, but it runs so deep that it is capable of resurrecting the dead. Both Helena’s character in The Dreamer and Du in The Peony Pavilion reside in worlds where they cannot experience true love. 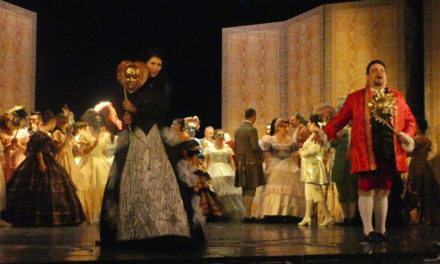 Helena’s image of an ideal husband is more or less the image Du holds of Liu, but when Helena finally encounters the “man of her dreams,” she realizes that he only exists in her fantasy; this realization causes her to suffer delusions in the form of appalling nightmares interspersed with sweet, nostalgic memories. No matter whether a play is a classic or a newly devised work, we must put ourselves in the shoes of the modern audience and consider their reactions. 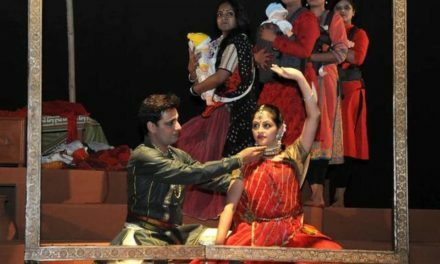 If a play can’t resonate with those who watch it, then it is purposeless. Those in the theater community cannot resist the forces of a changing society and changing audiences; rather, we must aim to reflect these changes without distorting a classic’s original intentions. Seeing The Dreamer receive such praise from overseas audiences makes me extremely happy. It shows that Tang’s work can reach a global fan base in the same way that Shakespeare’s plays have, and that international audiences can enjoy traditional Chinese opera styles. The imagery used in The Dreamer seems very contemporary, but its form actually remains much closer to that of traditional Chinese opera. The Dreamer represents a significant step forward not only for traditional Chinese opera but also for Chinese theater overall. As playwrights spread traditional Chinese culture globally, we need to maintain both an international outlook and an awareness of our country’s past. We must avoid modernizing a play for the sake of it and globalizing our output in the blind pursuit of exposure. Overall, I feel that The Dreamer has managed to strike this balance. This post originally appeared in Sixth Tone on October 15, 2017 and has been reposted with permission.